Team Prospect-Hugger could get a new look the last two weeks of July. 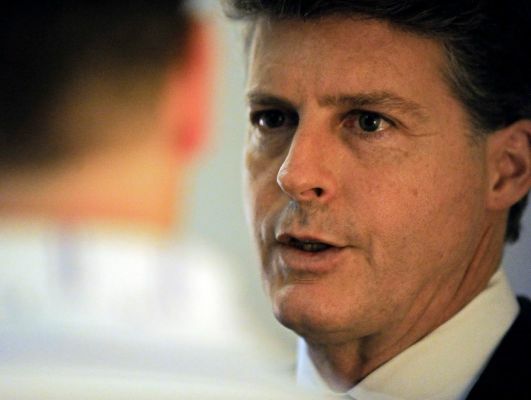 In an interview, Yankees Managing General Partner Hal Steinbrenner indicated that he’ll look at any deal that crosses his desk during the final two weeks of July. He’ll read the scouting reports, talk to GM Brian Cashman and the Scouting Department and tap into other resources to determine the best moves for the Yankees organization moving forward. He said that he’ll divert all of his attention to any one deal that comes across his desk as he has always done in the couple of weeks leading up to the trading deadline. It doesn’t mean that he’ll approve a deal but he’ll certainly give more than a passing thought to any deal that makes sense. Steinbrenner sees the value in holding onto the team’s prospects as they have done for the last three or four years, much to the delight of Ken Reed. With significant dollars coming off the payroll at the end of the year ($59 million alone with the expiring contracts of CC Sabathia, Matt Holliday, and Alex Rodriguez), Steinbrenner feels the Yankees will be active in the free agent market. “To what degree, and in what areas remains to be seen”, said Steinbrenner, in talking with reporters. I am probably somewhere in between Hal and his father, George. I’d be more inclined to make moves to strengthen weaker areas. But I’d also be trying to find ways to unload dead weight off the roster. Spending $46 million for CC Sabathia’s unreliable performances and Alex Rodriguez’s "consulting services" is a bad return on investment in a statement of the obvious. Why don’t they just increase it to $47 million and toss me the difference? I would certainly have a more company-aligned outlook and they would be no worse for the wear. I am looking forward to next year when a greater percentage of the payroll goes to active, contributing members of the team’s 25-man roster. Even though Steinbrenner may not be open to considering any deals until mid-July, there’s no doubt that Cashman and Company have already begin dialing other teams to open dialogue for potential trades involving targeted players. If the Yankees do prove that they are for real this year, it should be a very fun and active July. I am certainly not expecting a Bryce Harper or Manny Machado type trade, but reinforcements to stay the upward course would be very much appreciated. I am glad to hear that one of my favorite prospects, pitcher Albert Abreu, will be coming off the DL for High-A Tampa on Friday. Abreu has been on the DL since May 2nd with elbow inflammation. Abreu will start in Friday’s game against the Dayton Tortugas in place of Domingo Acevedo, who was promoted to AA-Trenton. Last summer, the two best outfield prospects in the Cleveland Indians organization were Clint Frazier and Bradley Zimmer. Zimmer received his call to join the Show this week, and looks to be a long-term fixture in Cleveland as an Andrew Miller teammate. On Wednesday, with his parents in attendance, Zimmer had a run-scoring double and a home run. Zimmer, two years older than Frazier, looks to be one of the game's superior talents for years to come. 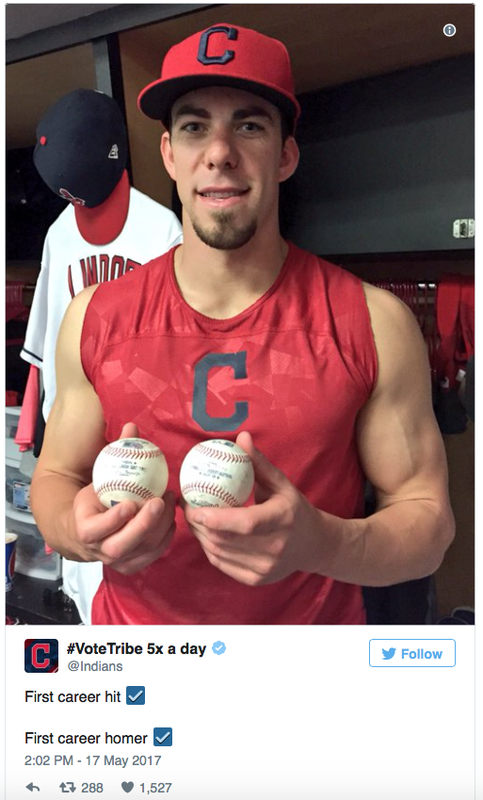 I know it's not Yankees-related but it is great to see good young players flourish in the Major Leagues. There's no doubt he received a congratulatory text from Frazier. 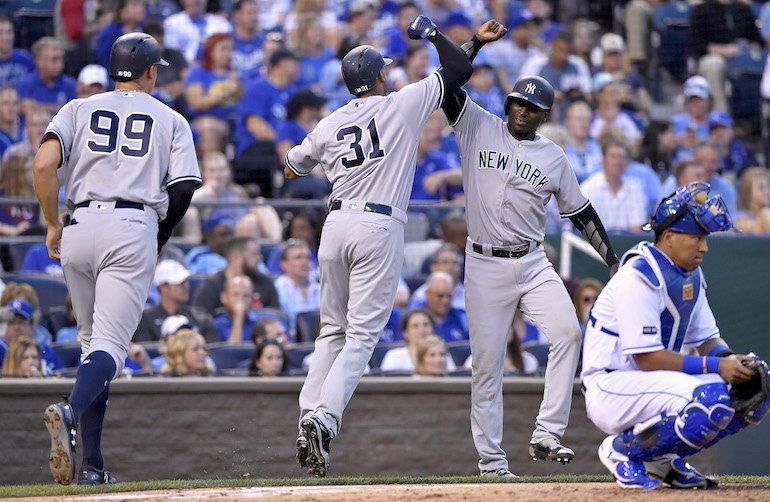 The Yankees were victorious in baseball action last night with an 11-7 victory over the Kansas City Royals. With the final game of the series to be played today, the Yankees have already taken the series by winning the first two games of the three-game set. Of the three Royals pitchers that we would be facing, I was most concerned about Jason Vargas. The veteran pitcher had gotten off to a great start at 5-1 with a 1.01 ERA. But four innings and six runs later, the ERA had more than doubled to 2.03. Michael Pineda (4-2) was the winner, but he did give up two home runs. For six innings of work, he gave up six hits, four runs (three earned), and two walks. He also registered 5 K’s. I would have liked to have seen better work but with the Yankees racing out to a 10-2 lead by the fifth inning, Pineda was guilty somewhat of letting up on the gas. Every Yankee in the starting lineup got a hit in the 16-hit attack. Aaron Hicks, filling in for Jacoby Ellsbury, hit a three run homer in the fourth inning on a 2-for-4 night. The Royals scored three runs with two outs in the ninth inning against Yankees reliever Giovanny Gallegos. With two runners on base and the potential tying run on deck, Dellin Betances came in for one out, a soft grounder back to the pitcher, to end the game, recording his first save of the season with just four pitches. The Yankees (24-13) took advantage of a loss by the Baltimore Orioles to move 1 1/2 games up in the AL East. The O’s lost to the Detroit Tigers in a close game, 5-4. Former Yankee Justin Wilson, recently named closer for the Tigers, picked up his third save. It could have been a great night but the Boston Red Sox pulled out a 5-4 win in 13 innings against the St Louis Cardinals. Have a great Thursday! Hopefully the Yankees grab another “W” before racing to Kansas City International Airport for the flight to Tampa later this evening.